The question posed by Professor Cassaday (‘Is it ethically appropriate to conduct studies on animals that have the objective to further our understanding of animal behaviour?’, September 2017) has only one answer. No. It is not ethically appropriate, ever, to conduct laboratory studies of animals, irrespective of the purported aims and objectives. To imprison sentient, complex and sensitive animals in a laboratory setting can never be right, whatever outcome is expected from such ‘research’. The desired, or expected, outcome of such research, does not make any difference to its immorality – the ends do not justify the means. We do not hurt some humans in order to help others, and for very good reasons. The same reasons should also be applied to animals. It is a sad indictment that non-human animals are seen as ‘objects’ for exploitation, rather than sentient beings deserving our protection. This is especially true of smaller, perhaps less familiar, animals, such as mice, who are used in their millions in laboratories around the world, each year. And although Cassaday contends that ‘legislation is having increasing impact on studies of animal behaviour in the context of the UK legal framework’ it serves us well to remember that the legislation governing animal experiments (and the licences granted under this legislation) make legal those activities which would otherwise be illegal. It also pertinent to bear in mind that, in 2016, a total of almost 3.9 million animals were used for the first time in ‘scientific procedures’, including mice, rats, fish, dogs, cats, monkeys and horses. Of these, more than 2.8 million were mice. 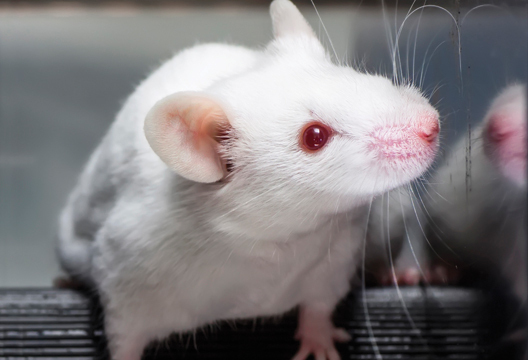 Not only is animal research morally indefensible, the oft-cited rationale that the research is conducted to gain benefits to human health, requires challenging. There is a growing body of evidence that the results obtained from animal experiments cannot be reliably translated to humans. Once this is accepted by those involved in vivisection and animal research is discarded in favour of humane, species-relevant, human-based research, this will be a brighter day, not only for animals, but for humankind and human health.